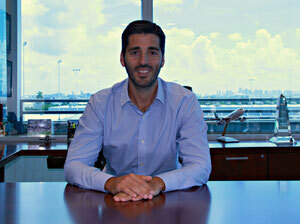 Latin America's largest cargo carrier is on the brink of rolling out a new product portfolio. Its contents are based on the core idea of individualized services. Hence, LATAM Cargo enables its clients to choose among 11 different care options with specific attributes for each cargo needs, and 3 complementing service options when booking a shipment. The project has been long in the planning. In order to be closer to its customers and their current needs, LATAM Cargo has been working for more than 18 months on designing and developing the new product portfolio that will be officially introduced to the markets during these days. The changes are quite radical when compared with the carrier's current service offerings. One of the main tools to guarantee the success of the product portfolio is a new IT system that can handle different commitments at the same time, combining the promises of the 3 service and the 11 individual care options clients can book. "Driven by our parameters agility, reliability and trust, the new portfolio ensures consistent delivery throughout our entire network. The system allows us to execute continuously the promise of each product as well as generate data for quality management,” illustrates CEO Cristian Ureta of LATAM Cargo. The airline's initiative comes at a time in which Latin American air freight markets suffer from price erosion and falling sales, particularly the sub-continent's largest economy Brazil that continues to contract further. With their new product portfolio, South America's leading capacity provider is trying to set a counterpoint to the rather stagnant situation in their home market as well as attempting to capture additional business in the U.S. and in Europe and enabling the carrier to return to a growth path. All in all, it's a move geared towards qualitative growth, not driven by mass product thinking. 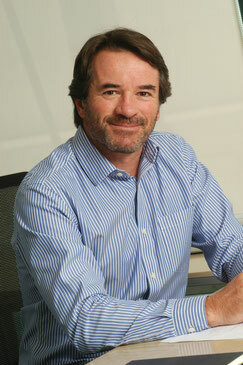 “For our European clients the new product portfolio means more and better options to Latin America. We are confident that our new products are addressing specific needs for the markets that we serve”, emphasized Guido Henke, Director of LATAM Cargo Europe. If things develop according to plan in the following months, any client utilizing LATAM Cargo’s capacity on any international route should benefit considerably from the broad range of booking and service options offered by the carrier. Basically, three different services are building the framework of the upcoming product portfolio. These are FLEX, STANDARD and EXPRESS. FLEX is a low cost option for non-critical consignments that need to reach their destinations within a maximum time period. It is not restricted to weight or dimension limits, as long as a given shipment fits the loading dimensions of the aircraft. So far, it is not offered by any South American carrier. In Europe, it will be available in Frankfurt, Madrid, Paris CDG and Amsterdam, and the clients will be able to choose between 2, 3 or 4 days as a maximum transit time for their shipments. STANDARD is available throughout LATAM Cargo's entire network and that of the carrier's interline partners. As with FLEX, it is not restricted to weight or dimension limits, as long as a given shipment fits the loading dimensions of the aircraft. EXPRESS is the carrier's premium segment targeting urgent and critical consignments. Shipments are guaranteed a preferential status, including a money back clause and reduced transit times. Clients can also benefit from space guarantee on any flight for small shipments. ALIVE care: designed for transporting live animals, it is one of the highly specialized items standing on the airline's product agenda. To the default attributes, clients can also add extra features such as lease of stalls or a return ticket for the grooms. Each animal species is handled according to its individual needs. 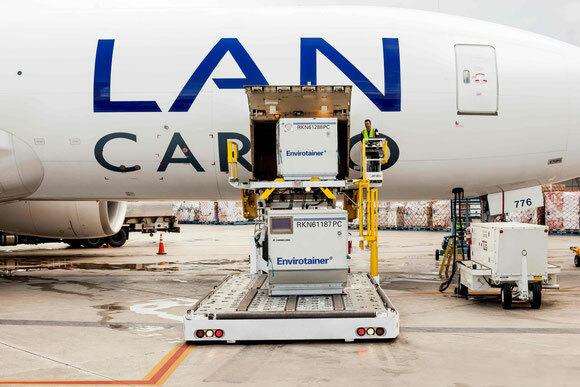 "This care option provides express transit times, preferential boarding and special care on board the aircraft and during waiting times,” promises LATAM Cargo. PHARMA care: designed for the transportation of pharmaceutical products that require strict temperature control throughout the entire transportation process. In order to maintain the cold-chain, LATAM Cargo relies on temperature-controlled aircraft and warehouses throughout the network, strict procedures to minimize tarmac time and additional protection measures to prevent temperature deviations. 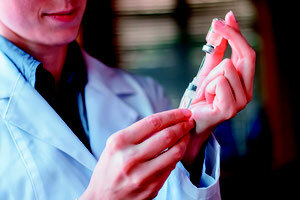 HAZMAT care: designed for shipping hazardous materials under a rigorous adherence to IATA guidelines. It includes the storage of these particular goods in special and restricted areas at warehouses, strict packaging control and monitoring throughout the entire transportation process. PROTECT care: designed for the transportation of vulnerable cargo such as electronics, high couture and cosmetics. This product features constant security controls, delicate handling procedures, safe storage with dedicated 24/7 surveillance and additional visibility that includes photographic status update reports. The carrier emphasizes that both the commercial and operational staff have been trained on how to perform their tasks under the changed and recently added procedures, utilizing the new IT system to deliver the designed products according to promises given. Simultaneously, the product structure has been strengthened by enlarging the Product Management department and the Quality Assurance team. "These two areas have specialists that will be monitoring and analyzing every single shipment in order to identify and implement continuous improvements in our internal processes, our systems and, at the core of their responsibility, particularly in our products,” Gabriel Oliva states. Beginning October 1st, the new product portfolio will be first available for cargo originating in Europe and North America, while the implementation in Latin America will take place gradually and is scheduled for being concluded in the first quarter of 2017.